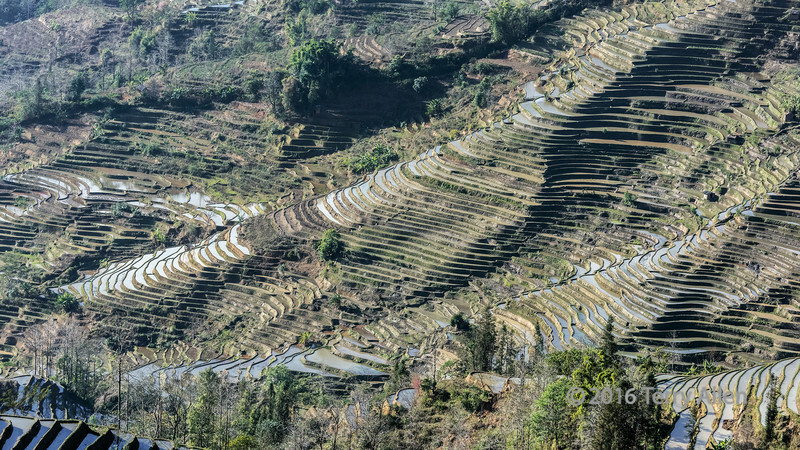 The sheer scale of the rice terraces at Laohuzui (Tiger's Mouth) in Yunnan Province, China, has to be seen to be believed, particularly considering that they were all carved out of the hillside centuries ago by farmers and their water buffalo so that each holds water at a level that doesn't vary by more than 2 inches according to the exacting growth standards of rice. Hi Terry, very nice picture. I really like this POV -- Amazing is certainly a great descriptor. Every bit as amazing is that it's all done by hand.